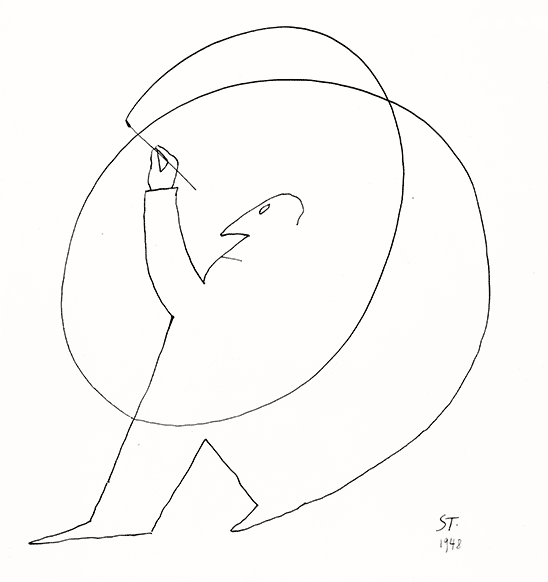 Steinberg’s oeuvre can be approached from a topical as well as a chronological vantage—as a series of themes that walk on and off the pictorial stage at different moments—or stay for the entire performance. Tracking two of these themes furnishes another tool for measuring both the continuity and evolution of his visual imagination. The first is architecture, which he charged with meaning beyond anything taught at the Politecnico. The second is maps, seen through a contextualization of View of the World from 9th Avenue, his most famous and least understood work.